The SQL PATINDEX is one of the SQL String Function, which is used to return the starting index position of the first occurrence of a pattern in a specified expression. If the specified string is not found then it will return zero. 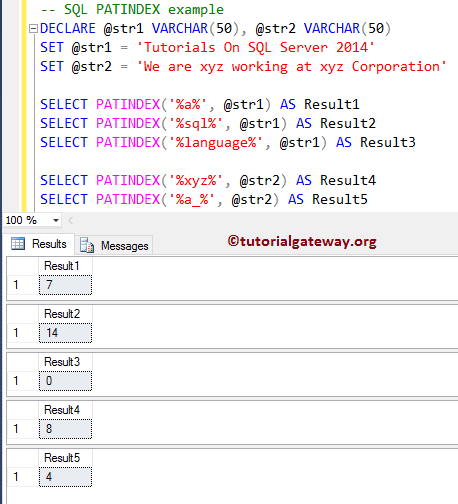 In this article we will show you, How to use PATINDEX in SQL Server with example. 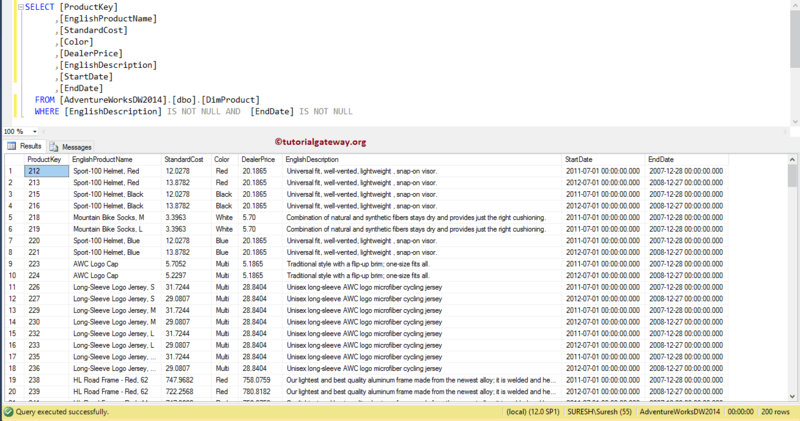 TIP: The index position of the Sql Server PATINDEX Function will start from 1, Not 0. ExpressionToSearch: Please specify the valid Expression on which you want to perform search operation. The PATINDEX function will search this expression for pattern. TIP: The PATINDEX Function will return NULL if either pattern or ExpressionToSearch is NULL. The PATINDEX Function in SQL is used to search for index position of a specific pattern from the original string. The following query will show multiple ways to use PATINDEX function. Below lines of code is used to declare VARCHAR variables and assigning the random string data. 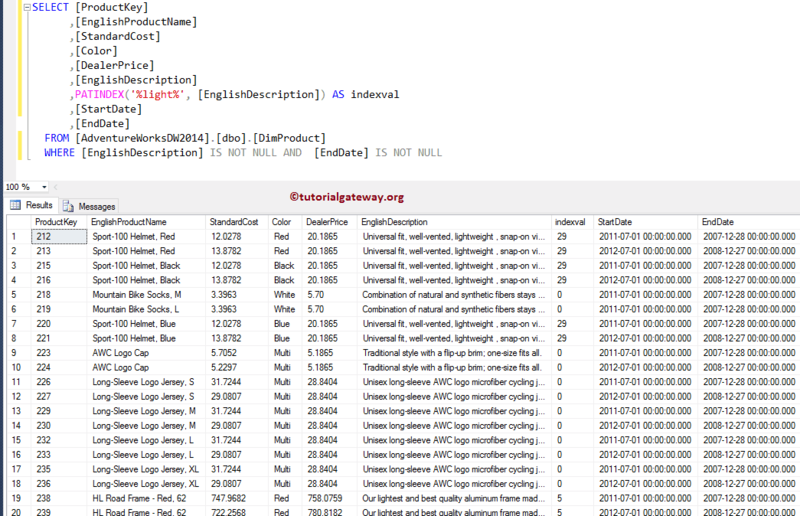 In below statement, We used Sql Server PATINDEX function to find the index position of ‘a’ from the variable @str1. We also assigned new name to that result as ‘Result1’ using ALIAS Column. NOTE: If you observe the above code snippet, Although it has xyz at multiple positions PATINDEX returned value 8. This is because, Sql Server PATINDEX will return the index position of a first occurrence and it does not care after that.